The Rajasthan Royal who were desperately in search of their second victory in the VIVO IPL 2019 made an appearance at the Wankhede Stadium as they were all set to take on the Mumbai Indians. The team had so far won only a game in the IPL and after winning the toss, the visitors asked the Mumbai Indians to bat first. It was Quinton de Kock from the Mumbai Indians’ camp who scored 81 runs from 52 balls. Rohit Sharma missed out on his half-century as he got out on the score of 47 runs. Titbits from others led the home team to the score of 187 runs. From the visitor's side, it was Jos Buttler who scored the maximum runs for the team. Mumbai Indians vs Rajasthan Royals Live Cricket Score. The Englishman went on to score 89 runs from 43 balls slamming eight fours and seven sixes. Buttler batted at the strike rate of 206.97 and was quite magnificent with the bat. However, his dream run came to an end as Rahul Chahar snapped the wicket of Buttler. Rajasthan Royals lose four quick wickets when the team desperately needed 14 runs from 14 balls. But in the end, it was Shreyas Gopal who took the team to the finishing line as he scored four runs in the last over. Rajasthan Royals won the match in 19.3 over. Indian Premier League 2019 – Points Table. # Quinton de Kock slammed his second fifty of the IPL 2019. # Quinton de Kock brought up his eight fifty of the IPL career. # Jos Buttler scored his third fifty of IPL 2019. 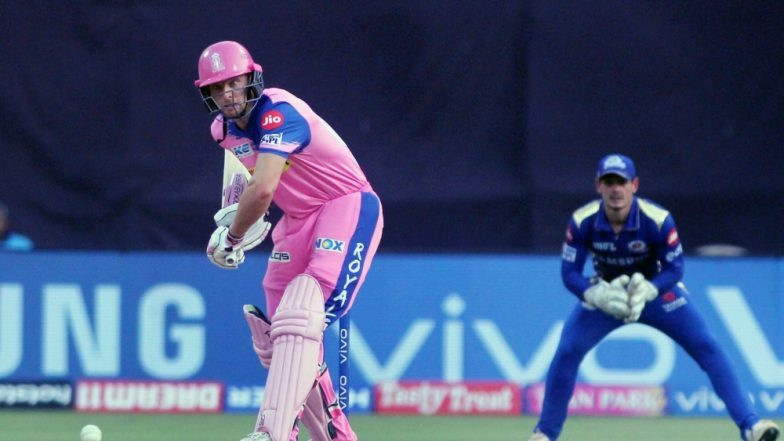 # Jos Buttler made his ninth fifty of the IPL 2019 career. Jos Buttler was made the man of the match.” Obviously, a great place to come and play cricket. Last couple of overs were twitchy but we needed the win. Great to contribute to the team. I'm playing the best cricket I've played for a long period of time,” he said after the game. Rajasthan Royals will next play against the Kings XI Punjab on April 16 in Mohali.